Just a few drops of our luxurious anti-aging serum restores much needed nutrients and reduces the appearance of fine lines to help skin look younger and feel amazing! Shake that bottle! 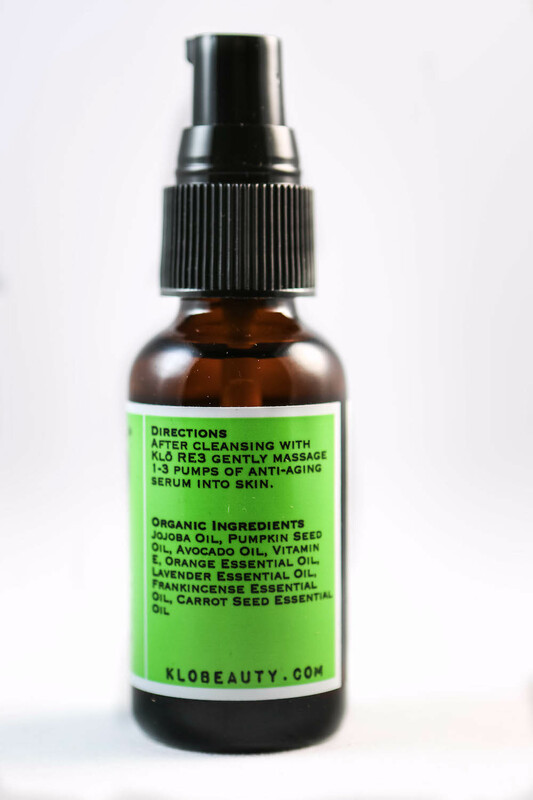 After oil cleansing with RE3 gently massage 1-3 pumps of anti-aging serum into skin. Smile. Jojoba is an incredible moisturizer similar to our skin’s natural sebum. It improves the feel of the skin and provides a substantial long acting 24 hour skin hydration effect which leaves you glowing all day. Pumpkin Seed is rich in Vitamin E, zinc, antioxidants and fatty acids which provide tremendous benefits for the skin in terms of retaining moisture, fighting free radicals, and maintaining a youthful appearance. Avocado enhances the skin’s ability to generate collagen which helps to fill in fine lines and wrinkles. It is nutrient rich and contains natural skin firming ceramides. Orange is high in Vitamin C and antioxidants which help fight free radicals to prevent premature aging. 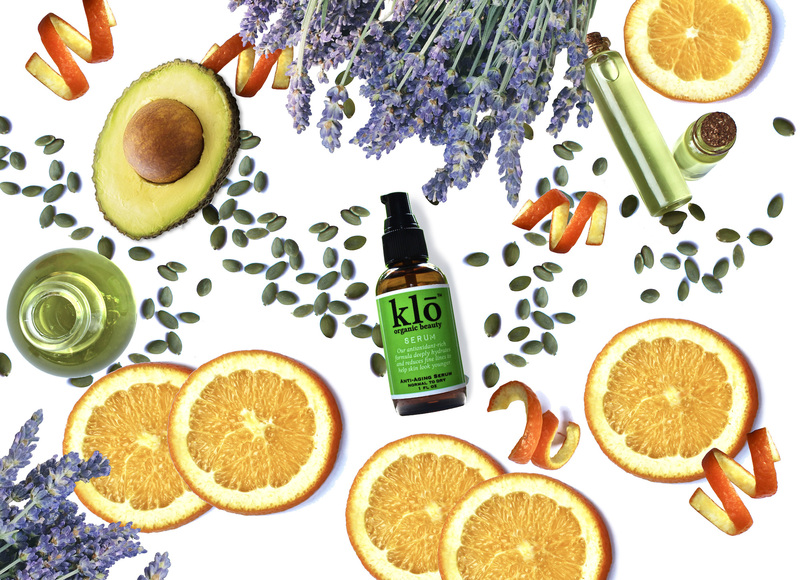 Lavender calms skin to reduce redness, even skin tone, and accelerate the healing of scars. It is deeply healing and highly anti-inflammatory. Carrot Seed stimulates the lymph system and drains fluids which cause under eye bags. It nourishes, tightens and rejuvenates dry, mature, and wrinkled skin. I put 3-4 drops on my skin after I use RE3, then again in the morning after I splash water on my face. It is so healing and feels amazing on my face! There are a lot of serums to choose from these days but none quite like this Klo Serum. It goes on easily, spreads perfectly and smells fabulous. Feels fantastic after a deep clean with RE 3 oil cleanser. A perfect stand alone hydration treatment or use it for the first step in “layering” moisturizers. The Klo products are definitely one of a kind. Hope there will be more in the future. I’m a Klo convert! Using these products has become a part of my nightly routine, and I actually look forward to it. 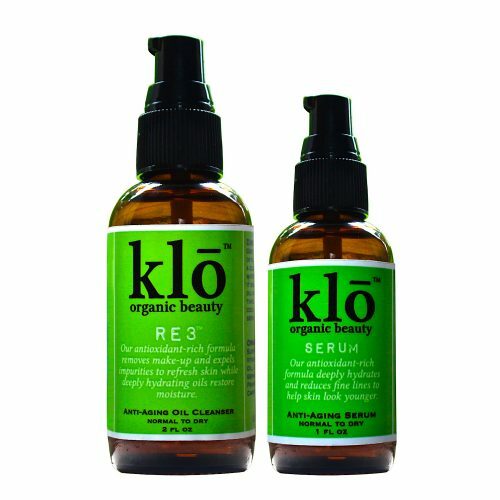 The RE3 and serum smell soooo good and feel so silky on the skin. I use the products before going to sleep at night and wake up with skin that looks fresh and healthy. 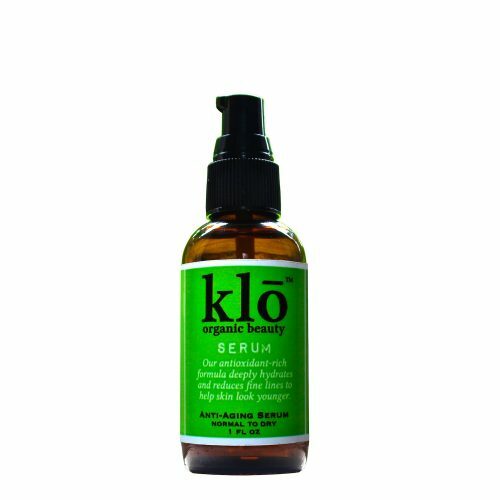 I am usually skeptical of products that promise anti-aging benefits, but with klo I have actually seen a difference in my skin’s texture and tendency towards dryness. This serum is a game changer! I spent so much time and money trying different lotions, serums, you name it… and am so grateful that I have finally found THE ONE. I just finished my first bottle of the serum and can say it has truly made a difference. I will definitely be buying more! I put it on before bed and my face feels hydrated and glowing in the morning. I have definitely seen an improvement in my skin since I started using the serum and am so happy to have this product. Thank you Klō! I have been using this serum since August. I have noticed smaller pores along with a more even complexion. In addition, my sun spots are lighter and my skin is smoother.